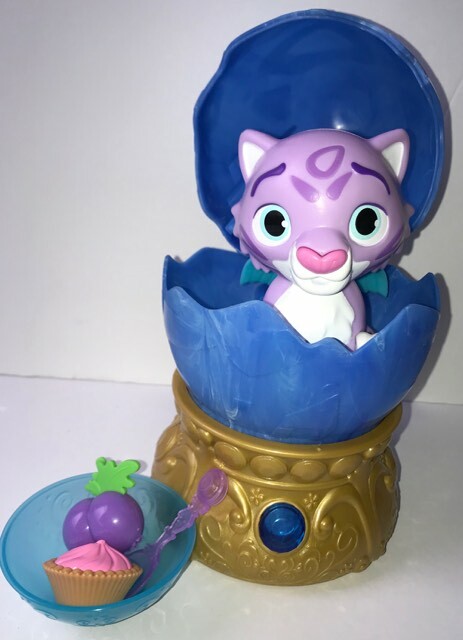 My granddaughter received the Elena Of Avalor Disney's Baby Mingo Nurturing Play Set from JAKKS Pacific . JAKK's Pacific has Didney's Elena Of Avalor Disney's Baby Mingo Nurturing Play Set is a cute affordable play set from JAKKS Pacific . My granddaughter is loving the "surprise" toys that are so popular these days. Elena is one of her new favorite Disney characters. In the Disney series, Elena of Avalor, Jaquins are magical flying creatures who help Elena learn how to rule her kingdom. This set was inspired by this series. Children can help the Baby Jaquin Mingo hatch from his egg. Children can hatch the baby Jaquin by pushing the button on the front of the stand. There are three modes of play for this set; sleep, the hatching, and caring for baby Mingo. My granddaughter was excited as the Jaquin egg popped open and revealed her new little baby Mingo. Baby Mingo comes out of his egg so that she can feed and care for him. When she presses on Mingo's nose he says little phrases and makes adorable sounds. He even makes snoring sounds when she puts him back inside his egg. 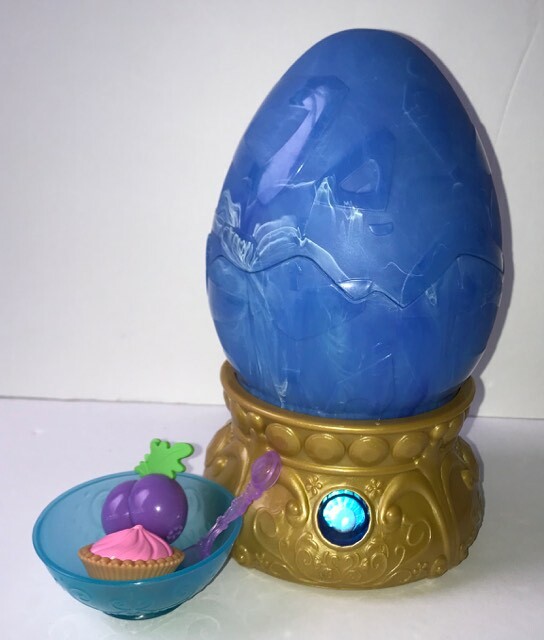 The Elena Of Avalor Disney's Baby Mingo Nurturing Play Set play set includes the egg with Baby Jaquin Mingo inside, a stand, a cupcake, berry, bowl, and spoon. Children can collect all of the Elena of Avalor Baby Nurturing Sets. Each is sold separately. This play set is an affordable high quality play set you can purchase at JAKKS Pacifics. It would be an adorable idea for an Easter basket filler. The play set is recommended for children over three. Its not recommended for children younger than three because parts of the toy could be a choking hazard. 3 x AG13 button cell batteries are required to use the the play set, they are included with the toy. I love supporting companies like these who give back! This looks like so much fun for any Elena of Avalor fan! OHHHH!!! I would love me a surprise toy tooo!!!! How cute is this! This looks like such a great toy for kids! Though I have no kids myself, I know my little cousin would just adore this! I think I'll pick one up for her for Easter. Oh my gosh, what an adorable toy! I am not super familiar with Elena of Avalor but I've heard good things from my friend who has a little girl. This is such a lovely toy for little ones. It would make a lovely non-chocolate Easter present. This is the cutest little playset. The colors are so fun, and I know that kids would totally love to play with it! I don't have kids, but every time I see Elena of Avalor I'm tempted to watch it haha. It totally looks like something I would have loved as a kid! My daughter would love this! The jackals is one of her favorite things about the show.